Apex Solar would like to offer ARCC Members $500 off a Solar System or New Roof through August 31, 2019. ARCC Members can enjoy a special of $99 for a 3-room carpet cleaning OR $168 for 5/Rooms/Whole House Special. Rocksport would like to offer special pricing for ARCC Members. Consider Rocksport for your next team-building exercise, retreat, gathering or party! Rocksport is proud to be a member of the Adirondack Regional Chamber of Commerce. Now we are proud to provide special rates to our fellow members. The Silo has a reputation for being one of the best places for breakfast and lunch in Upstate New York! ARCC Members can enjoy 15% off of their check when they visit the Silo Restaurant. 25% Off SALE on all screen printed and embroidered items. Salon located in downtown Glens Falls offering hair services for women and men. Get your complimentary network assessment, courtesy of the team at ADKtechs. Downtime is frustrating and expensive. Our free network assessment will help identify, document, and plan to remediate the areas of your business that may put you at risk for a data breach. 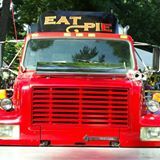 Pies on Wheels Traveling Pizzeria presents a great opportunity for you to say ''Thank you'' to your hard working staff. Consider a pizza party at the workplace...we'll come to you and provide wood-fired cuisine for your staff at lunch. Looking for a creative way to say ''Thank You'' to your staff?